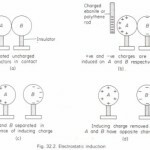 become exactly neutralized (Fig. 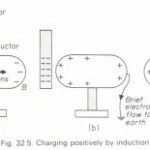 32.11 (cj), After this stage has been reached a further lowering of the charged rod will cause the leaf to diverge again, since the leaf and plate now acquire an excess of electrons (Fig. 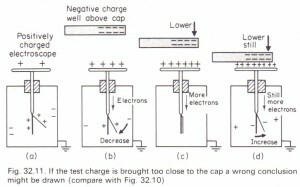 32.11 (d)). 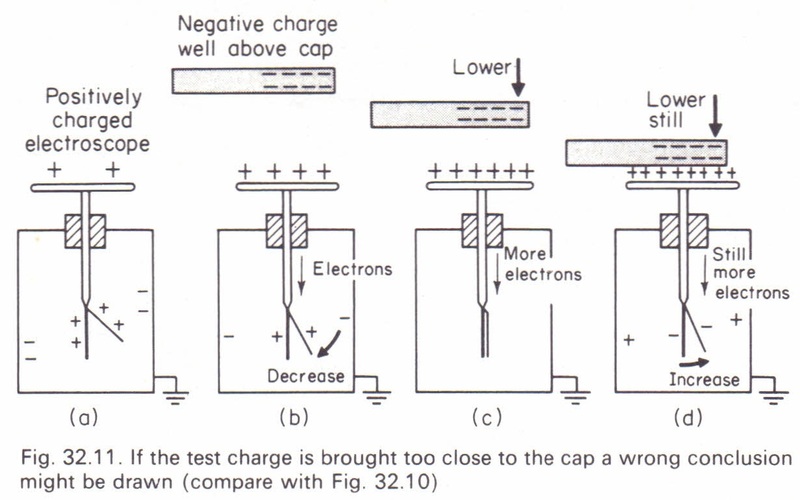 conclude wrongly that the test charge and the electroscope charge are of the same kind.